The ftpg. 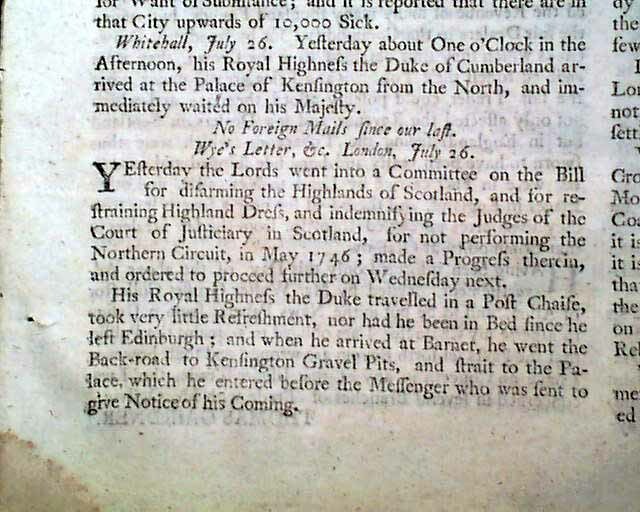 has an item beginning: "Yesterday the Lords went into a committee on the Bill for disarming the Highlands of Scotland & for restraining Highland Dress...". 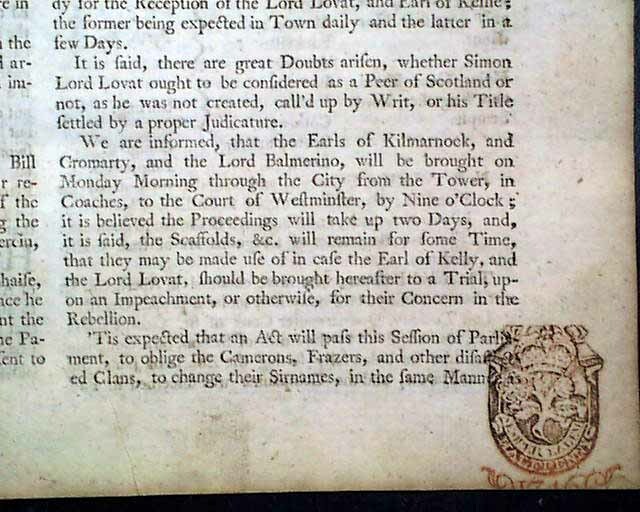 Also on the ftpg: "We are informed that the Earls of Kilmarnock and Cromarty, and the Lord Balmerino, will be brought on Monday...through the city from the Tower...the proceedings will take up two days...the scaffolds, etc. will remain for some time, that they may be made use of...". 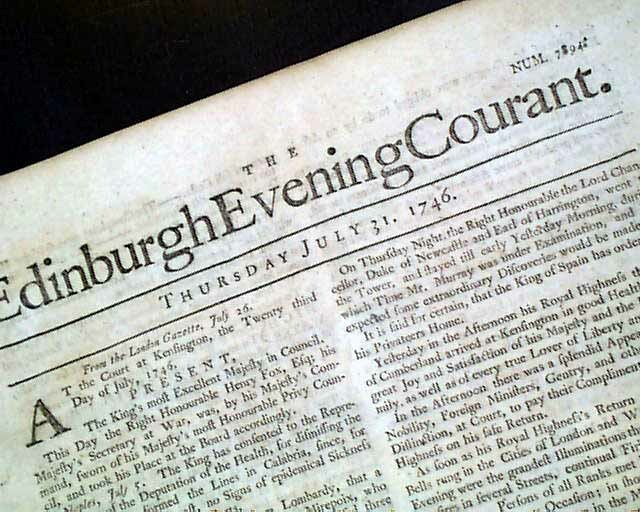 These 3 are the major ringleaders of the Jacobite Rebellion. 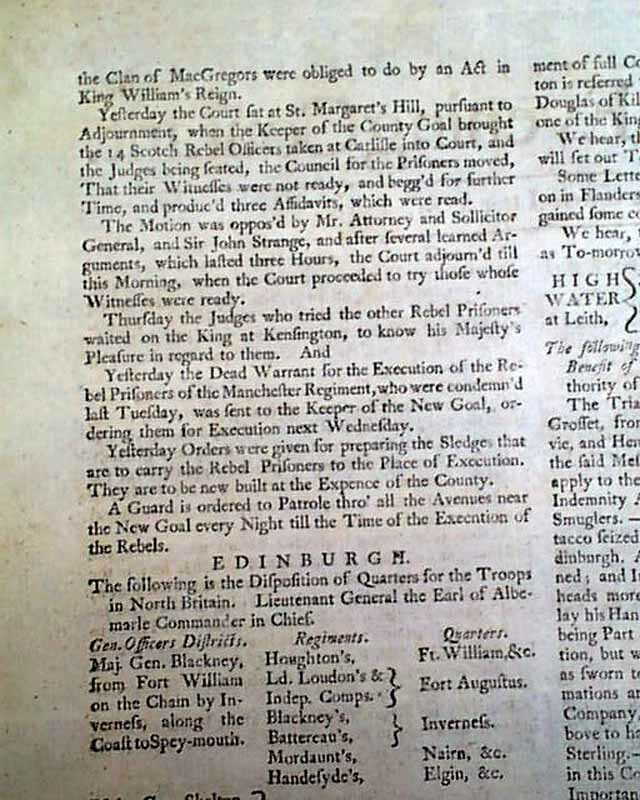 Page 2 has some reports concerning the coming executions of some rebels involved in the Jacobite Rebellion (see). 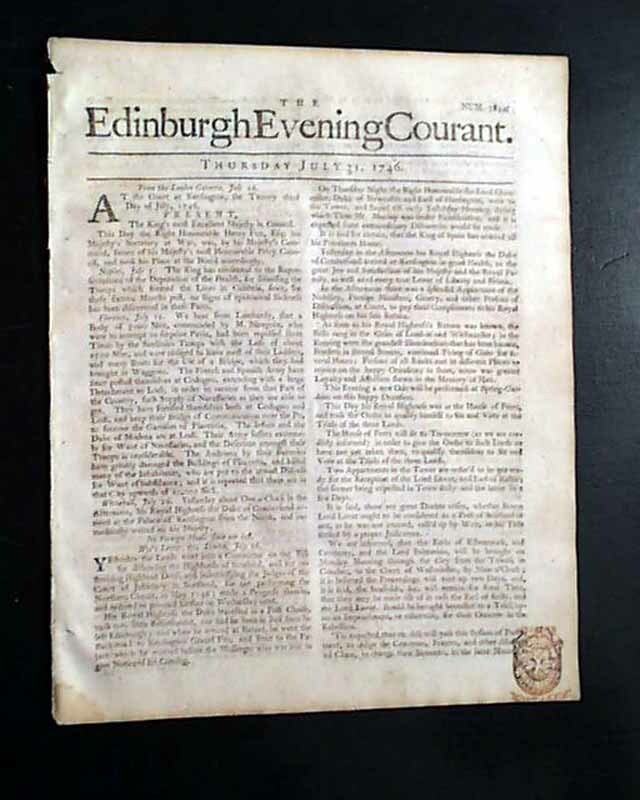 Four pages, 8 by 10 inches, red tax stamp on the front page, very nice condition.